The B-29 known as “Doc” will serve as a traveling history museum to honor the men and women who designed, built and served on the aircraft. 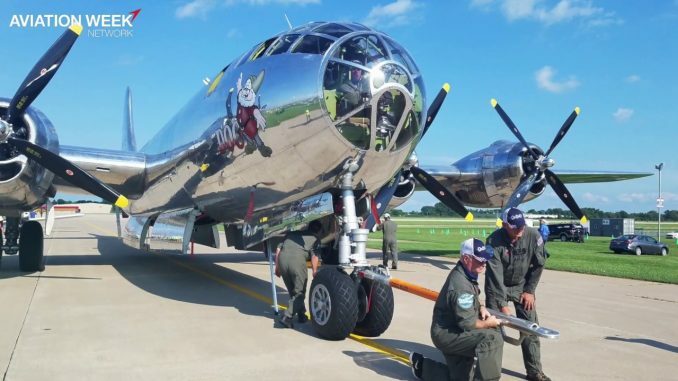 The historic Superfortress was the talk of the show at EAA AirVenture at Oshkosh, Wisconsin. Home case for “Doc” will be Wichita, Kansas. 1000W LED on a DRONE – At Night!